Don't let the harsh weather outside get to your hands this winter! Instead moisturize those hands when you wash and sanitize with products from PURELL®. 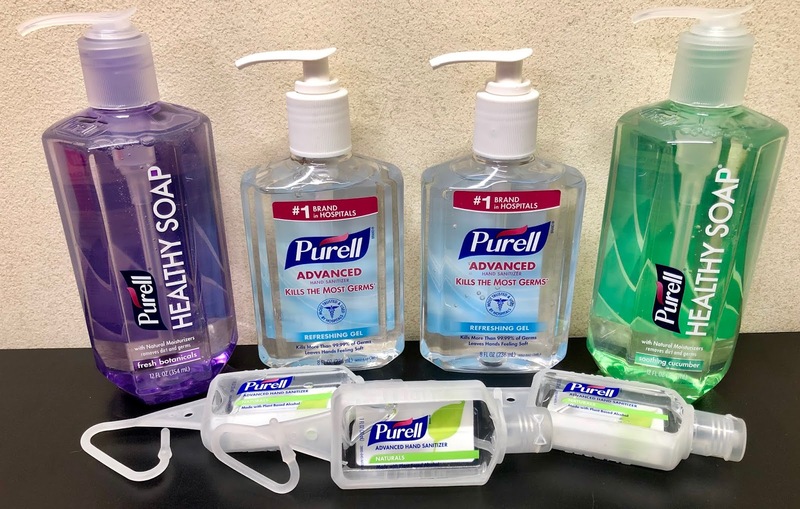 PURELL® Hand Sanitizers and PURELL® HEALTHY SOAP are the perfect combination for keeping your hands dirt and germ free all while keeping them soft and healthy. PURELL® HEALTHY SOAP is specially formulated with natural moisturizers to be gentle on skin, yet tough on dirt and germs making it the perfect hand soap for the harsh winter months. PURELL® Brand HEALTHY SOAP comes in a variety of fragrances: Clean and Fresh, Soothing Cucumber and Fresh Botanicals. And for those times when you can't get to a sink to wash your hands PURELL® Hand Sanitizer is the next best thing. PURELL® Advanced Hand Sanitizer kills more than 99.99% of most illness-causing germs without damaging skin. PURELL® Advanced Hand Sanitizer, is the #1 Brand of instant hand sanitizer and most trusted and used by hospitals. The PURELL® Advanced NATURALS formulation contains the same naturally plant-derived alcohol as our green certified product. It also includes the essential oils that provide a pleasant fragrance and condition your skin with each use. This refreshing hand sanitizer gel kills germs and is proven to help prevent the spread of germs that can cause illness in critical and everyday situations. With all the snow we've had lately I've been outside a lot more than usual causing my hands to feel the effects of the cold temperatures (even with gloves on). And I'm not a fan of dry scratchy hands. That's why I have PURELL® HEALTHY SOAP next to both the kitchen and bathroom sinks right now. And I have bottles of their sanitizers through out the house for using when a full hand wash isn't necessary. And I'm happy to say my hands haven't gotten scratchy or cracked at all this winter! I like Purell. It comes in scents that I like and it doesn't dry out your hands. I like Purell. We use it a lot and it has never dried out my hands.